Open Heart Theatre presents quality improvised comedy from the North East and beyond. Sketches, scenes, stories and songs invented on the spot to make you laugh. 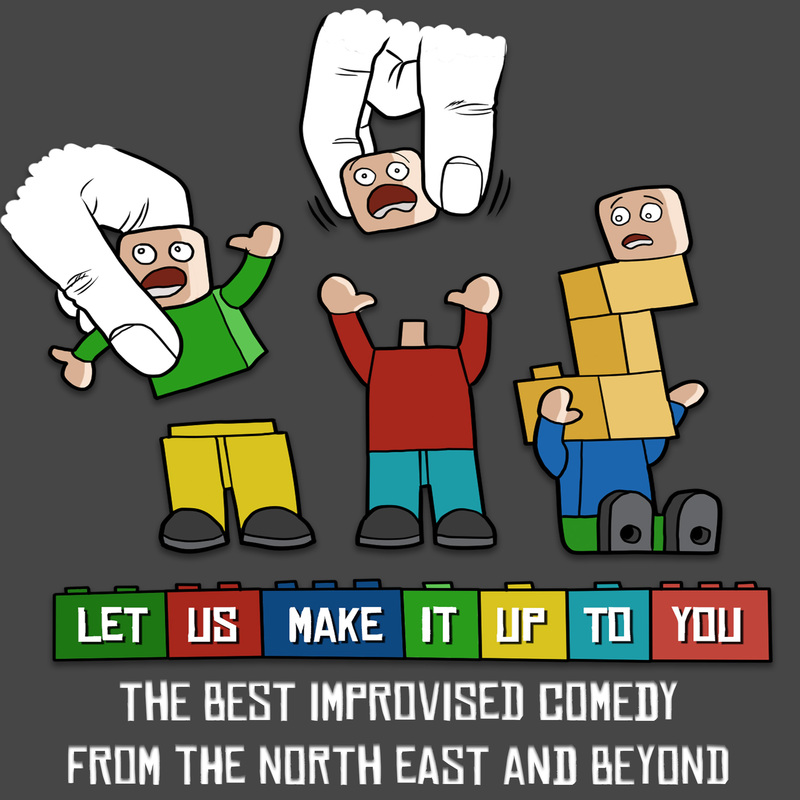 Let Us Make It Up To You is an exciting new night of improvised comedy coming to Newcastle. Improvised Comedy is growing throughout the UK and Open Heart Theatre want to show Newcastle everything it has to offer. Working alongside the already vibrant North East improv scene Open Heart will curate a superb bill celebrating spontaneous performance. Each month three different acts will bring their own unique spin on improv. Everything from “Who’s line is it anyway?” style games to improvised plays. Groups will invent scenes, sketches, stories and songs for your entertainment. Each show will be a one-off, never to be seen again. Come and discover exciting worlds with fascinating characters all grown from the seed of your suggestions. Every night will have one thing in common: our house team. The Hang mix engrossing theatrical scenes with fast-paced sketches to mine the gold nuggets found in everyday conversation. The group brings together internationally trained improvisers and some of the leading local talent in a unique collaboration. Details of each month’s acts will be available on our Facebook page. If you feel your life has been lacking in laughter, drama and excitement come along to Alphabetti theatre and…. Let Us Make It Up To You. At Open Heart Theatre, we’re interested in improvisation high on emotion and honesty, where the players unlock their natural creativity and inspire their stage partners to soar to unexpected places. Open Heart Theatre was founded in 2017 by Alex Fradera and William Steele to bring their wealth of varied experience to the Newcastle improv scene.